Removing a damaged or unused swimming pool will make your house safer and easier to sell. Even if you are not planning to sell any time soon, a pool removal will eliminate the expense and hassle of maintaining it year after year. If you are thinking about removing your pool, you will need a professional pool demolition contractor to do it. The contractor will visit your property and evaluate the site, access to the pool, and applicable laws and ordinances. 1. Your contractor will first evaluate the pool site with you and determine what equipment and permits will be needed for a full pool removal process. The contractor can also advise you on what to expect during the process in light of your yard site, access, and plans for use of the reclaimed space after demolition is complete. 2. Before beginning the work, the contractor will obtain any necessary permits from the municipality. 3. One of the first steps the contractor will take on site is to pump all of the water out of the pool. It may be possible to use the existing pump, but the contractor may have to bring in a special pump for that purpose, depending on the job size and condition of the existing pump. Once the water is removed, the contractor will cut off all of the power to the pool and remove the pump, filter, and all mechanical equipment. 4. The contractor next will remove the pool decking. Most contractors will recycle the concrete materials for use in road base or other projects. 5. Vinyl- lined pool: If the pool has a vinyl lined pool, the contractor will pull out the liner completely. Once the vinyl liner is out, the contractor will remove the backing, which can be made with plywood, steel, or aluminum. Those materials will also be recycled. If the backing is made of gunite, heavier equipment will be required. Some municipalities will allow the gunite to be broken up into small pieces and left in place, then buried when the hole is filled. Concrete pool: The pool removal process is largely the same as for vinyl-lined pools, but concrete pools require much heavier equipment and take longer to complete. Concrete pools are heavily reinforced with rebar to prevent any cracks in the pool. The contractor will likely require a bobcat outfitted with a heavy duty concrete jackhammer. An excavator will be outfitted with a special “thumb” attachment designed for breaking up and removing heavily reinforced concrete. Once a corner of the pool is removed, the contractor will move the equipment onto the bottom of the pool and perforate the floor and walls thoroughly. The pieces will then by hauled away for recycling. Some municipalities allow you to leave some of the concrete pieces in the hole as fill, but the pieces left behind must be less than a size specified by applicable ordinance. Some contractors recommend removing all of the concrete to avoid later settlement problems and sinking that can occur over time. 6. Once the pool material is removed, the contractor will import fill soil. 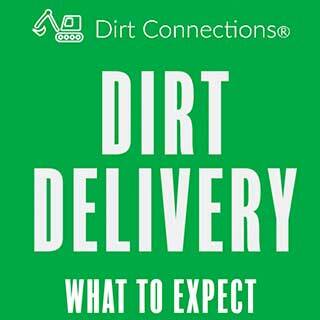 The fill soil will need to be compacted to meet applicable standards, perhaps in layers of 8 to 12 inches. The surface will need to be grated to make sure the drainage moves water away from the house and then top-dressed with black earth to allow placement of sod and other plant materials on top. Buyers in the average income range are stretching to buy a house that has enough room for a growing family. Their budgets simply cannot accommodate the expense of maintaining and operating a pool. Unexpected repairs and extra insurance costs associated with a pool make it an unacceptable financial risk. If your pool needs a major overhaul, you could opt to make these very expensive repairs. 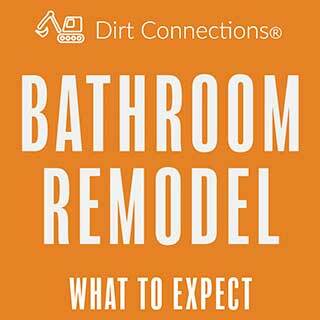 It will cost you a pretty penny, but it may soothe the anxiety of potential buyers. However, you will be limiting the total number of potential buyers, and you have no guarantee that the money you spend to bring the pool into tip-top shape will overcome buyers’ concerns. You could spend the money and still find the house sitting on the market for months just because no buyer wants the risks and expense of a pool no matter how beautiful it looks. A pool, however well-maintained, is still a hazard. When filled with water, it is inviting to people, especially young children. Tragic accidents happen every year with unattended children in pools. Pool conditions that do not conform to applicable rules and regulations also create possible liability for the homeowner in the event of an accident. The pool has too much potential as a source of liability for the homeowner. Insurance companies are well aware of the hazards and expense associated with pool ownership. The cost of insuring against these risks and liabilities is prohibitive for many people. Your potential buyers are aware of these costs. If your home is in a community where backyard in ground pools are the exception to the norm, your pool will limit the number of potential buyers and make it difficult for you to sell your home quickly. Full swimming pool demolition and removal is a project that requires the expertise of a professional pool demolition contractor and special heavy equipment. If your backyard pool is costing you more than it’s worth, it’s time to call in an expert and have it removed. During a full pool demolition, everything goes. The pool demolition contractors will break up the materials that make up the pool, including any concrete, fiberglass, steel, granite, and vinyl lining. Debris is then removed from the pool cavity with special equipment. 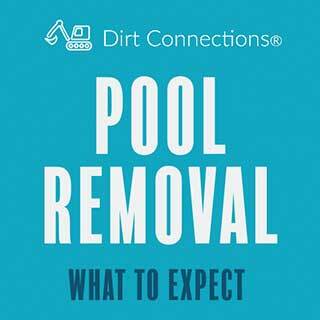 Once the entirety of the pool has been demolished, Dirt Connections will haul all of the debris away for proper disposal, leaving your yard free of pool materials. Our pool removal contractors will then supply the dirt necessary to fill the empty pool cavity. We will then fill and compact the soil to make it look like a swimming pool was never there. Of course, there are a few disadvantages that come along with swimming pool removal with one of the biggest being cost. You can expect a full pool demolition to cost considerably more than a partial removal due to the amount of work involved in breaking up and removing all of the materials. With more work to be done, there may be a need for more workers as well as extra days to complete the project. With no pool materials left to help fill in the pool cavity, you can also expect to need additional soil. Not everyone needs or wants an inground swimming pool in their backyard, especially one that has become dilapidated or creates a safety hazard. 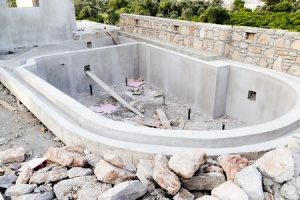 If you are ready to remove an old swimming pool from your backyard, call the experienced pool removal contractors at Dirt Connections. We offer professional pool demolition services at competitive prices for all size pools and pools in all conditions. Call today to learn more.